Mr. Trivedi is a person who enjoys excellent health, a very high level of perception and mental clarity, an astonishing memory and a unique physical disposition. Even after working eighteen-hour days and with very little sleep, often only two to three hours a night, he exhibits a very high level of energy in the execution of his daily activities. When awareness of Mr. Trivedi’s unique physical and mental capacities began to make waves internationally, physicians and scientists sought him out to examine his physiology and body chemistry. He agreed to submit his body for medical evaluation with physicians and researchers in the USA, Australia, Canada and India, using the most sophisticated medical diagnostics and technologies available. These medical examinations revealed highly unusual findings which were baffling to those conducting the carefully controlled research. This is an overview of the most interesting findings and you may explore this website further to delve deeper into any report of your interest. Mr. Trivedi’s circulatory system suggests the absence of a normal aging pattern as seen in the results of Arterial Pulse Wave Analysis testing performed by Dr. John Levin in Melbourne, Australia. Dr. Levin, an Anti-Aging Medicine Physician, administered a non-invasive method of measuring the elasticity and integrity of the blood vessels, their ability to transmit force along the arterial wall from the aorta to the smallest arterioles, and the presence of atherosclerotic plaquing, also called hardening of the arteries. During each component, Mr. Trivedi’s results were at the maximum value, indicating that his score was beyond the technology’s ability to measure these parameters. As a part of the aging process there is always some form of deterioration in the joints, disc spaces, bone density and surrounding soft tissue shadows due to the process of imbibition, the loss of fluids in joint cartilage and intervertebral discs. 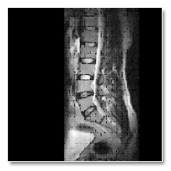 Mr. Trivedi’s X-rays showed full intervertebral disc spaces, clear and smooth spinal joint surfaces, and perfect spinal curves in the cervical, dorsal, lumbar and lumbosacral areas. There were no soft tissue shadows indicating no swelling, toughness or fibrosity in the surrounding muscles and soft tissues. At the age of 45, The X-Ray and MRI findings of his spine appeared similar to those of a healthy male who had completed growth plate fusion and was at least 18 years of age, but no older than 25 years of age. In every human, as the growth plates fuse completely at the pubertal age (around 18-20 years), growing cartilage is not seen on X-ray examination. On the contrary, growing cartilage is seen in his case in the epiphyseal and subchondral region, yet he is 45 years old. The amount of healthy cartilaginous bone alone on joint surfaces at knee and ankle region is unique in appearance. According to medical science, it is impossible for any human’s autonomic nervous system (ANS) to be in the highest state of sympathetic and parasympathetic activity at a given time because they produce opposite effects in the body in terms of blood flow, hormone release, muscle, immune and brain activity. Mr.Trivedi’s autonomic nervous system was found to be simultaneously in the highest state of excitement (sympathetic part of ANS) and the deepest state of calm (parasympathetic part of ANS) when measured using the neurological biofeedback technology by Dr. Brian Costello, Chairman, American Board of Psychological Specialties in Neuropsychology, Australia. Control and regulation of body temperature, called thermal regulation, is the most important role of the Sympathetic nervous system because fluctuations in temperature destroy the vital enzymes, neurotransmitters and peptides necessary for the cells to produce energy and keep the body alive. A healthy person’s surface temperature should be symmetrical, the same on the right and the left. Medical Infrared Digital Imaging (MIDI) technology has established scientifically sound parameters which states that any deviation from the symmetrical evenness of a healthy pattern, outside the range of 33-34°Celsius, is accompanied by some type of pain, dysfunction and symptoms that range from numbness and tingling to paralysis. There is asymmetry from right to left side and there were patterns of extreme temperature contrast in 40-50 locations throughout the body. These findings would be expected in a patient who is extremely physically debilitated. On contrary Mr. Trivedi has excellent health that does not correlate with these findings. Cranial sacral rhythm is defined as the movement of cerebral spinal fluid around the brain and spinal cord within a semi-closed hydraulic system that extends from the ventricles of the brain to the sacrum (tailbone). One cycle is defined as the movement of fluid from the ventricles of the brain to the sacrum and back to the brain. In a healthy person, the cranial sacral rhythm is 6-10 seconds per cycle. A calm, healthy person will have a slower cranial sacral rhythm and a person with chronic illness will have a higher cranial sacral rhythm. When a person is in severely physically debilitated condition the rhythm slows to 15-20 seconds per cycle. Mr. Trivedi’s cranial sacral rhythm was 172-180 seconds per cycle when measured on November 1, 2004. In the following week, the rhythm was checked by a professional, it seemed as if there was close to zero cerebrospinal fluid flow for 17-18 minutes. 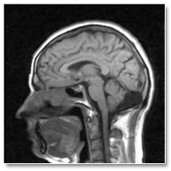 The size of the pituitary fossa also known as Sella tursica is found to be 18.5 mm (anterioposterior) by 12.8 mm (in height), which is the largest ever noted in a healthy subject. Mr. Trivedi’s breathing is abdominal with little or no movement of Diaphragm which is biomechanically impossible as adults breathe with their upper ribs and their diaphragm. it is known that low frequency EEG patterns (theta, low alpha waves) are detected in sleep, while higher frequency (beta, higher alpha) waves signify alert and wakefulness states. Alpha waves, which increase when eyes are closed, are generally much reduced when the eyes are open. Mr. Trivedi’s EEG graph examination showed Background activity comprises of alpha activity 9-10 c/s. The EEG patterns of Mr. Trivedi show rather low levels of activity in the normal waking state, and contain some alpha mixed with beta frequencies. The pattern remained continuous through changes in input stimuli, through altering respiratory patterns as well as in eyes closed and open states during the test. Mr. Trivedi is able to exhibit opposite and extreme physiological processes occurring at the same time and his physiology shows no signs of aging. There is no correlation between the physiological findings and his excellent health.